First ever season of IPL was played in 2008 and the mumbai indians is the most successful team of IPL with 4 Titles. 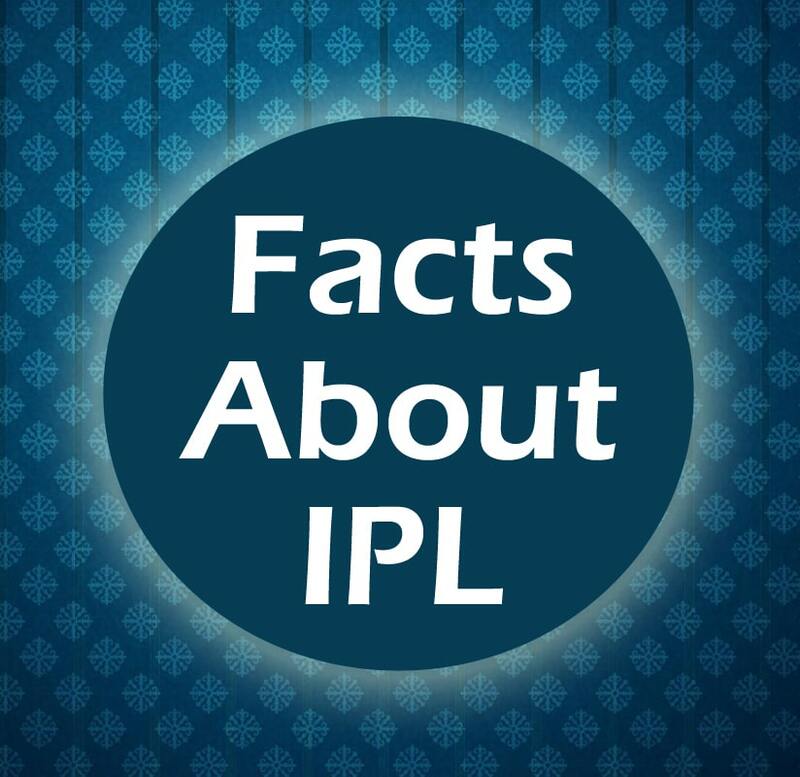 Here we bring some interesting information and facts about IPL. 1. Gautam Gamhir is the only player in IPL who have second most half centuries and most number of ducks. 2. Kings XI Punjab has changes their captain 12 times in IPL till now, this is a record. 3. Delhi Daredevils is the only team in IPL, who never played a final in IPL till now. 4. Chennai Super Kings has never changed their cpatain in the whole IPL till Now. 5. Sachin Tendulkar was the first Indian Batsman who has won the Orange Cap in IPL. 6. If we talk about the Orange Cap winner then Chris Gayle and David Warner are the only batsman who has won Orange Cap twice. 7. Bhuvneshwar Kumar has won Purple Cap twice in IPL. 8. Virat Kohli has the highest individual runs 973 in a single season of IPL. 9. Aaron Finch is the only player who has been sold to 7 franchises till now in IPL. 10. Dale Steyn has highest dot ball percentage in a single season of IPL in IPL 2013, he bowled 213 dot balls out of 400 balls. 11. Piyush Chawla has never done a No Ball in IPL till Now. 12. Amit Mishra is the only bowler who has taken hat trick 3 times for 3 different teams. 13. Mumbai Indians has won IPL Trophies 4 times, highest till now. 14. Zaheer Khan was te only player who played 1st and 500th game of IPL. 15. RCB has scored highest 263 Runs and lowest 49 Runs as total of a team in IPL. 16. Once Chris Gayle scored 37 Runs in a over against Kochi Tuckers Kerala. 17. There is ony one match in which super over was tied, in that match Rajasthan Royals has won the match on the basis of boundary count. 18. Manish Pandey was the first indian batsman who scored a IPL century.